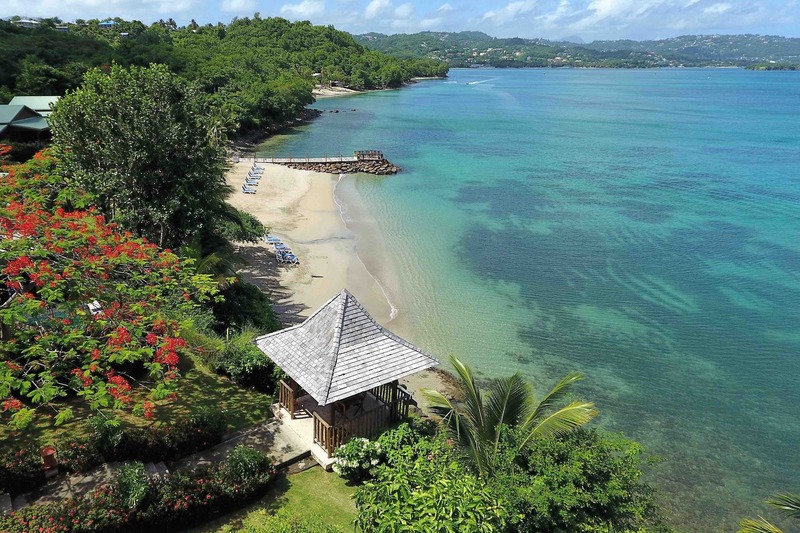 Calabash Cove Resort has been designed with great care, using natural elements like exotic wood and stone. The tranquil gardens are filled with vibrant, fragrant flowers set amidst tree grove. 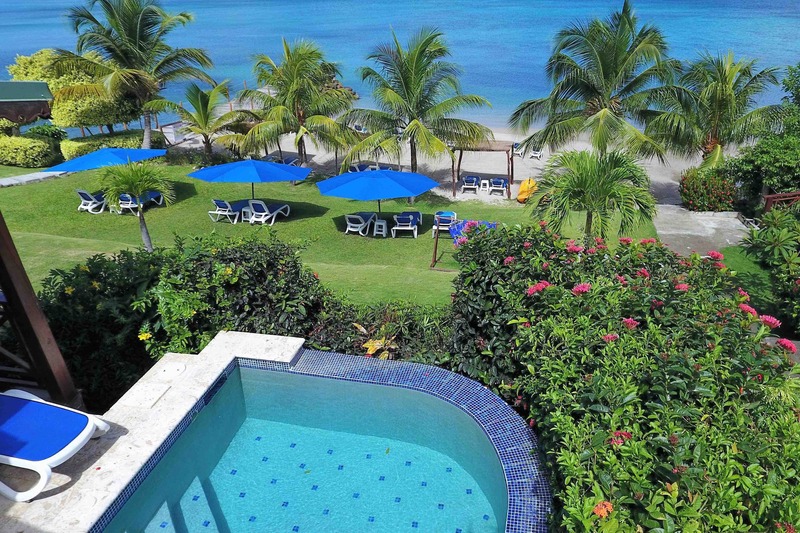 The resort offers three equally luxurious categories, each offering unparalleled views across the Caribbean Sea. 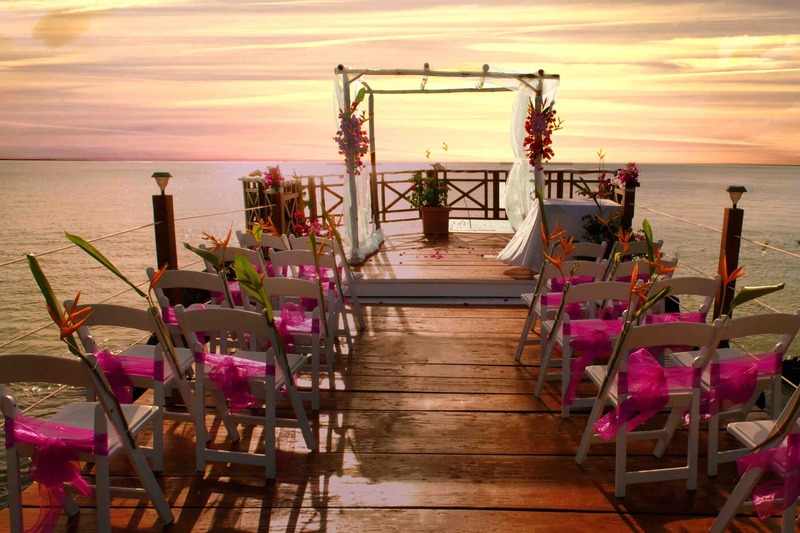 Calabash Cove offers an exceptional, unconditional All-Inclusive offer! 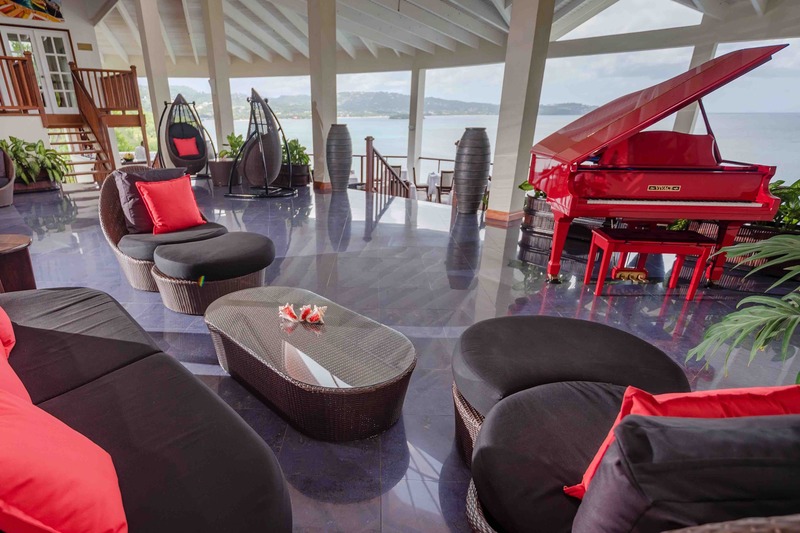 This includes all meals and also the daily specials are covered, for example daily lobster specials during lobster season, premium brand drinks, in room bar stocked with full size bottles, over 20 wines to choose from the wine list - by the bottle and prosecco for breakfast as well. Premium bottled water with every meal and the option of private dining at your own room or cottage. 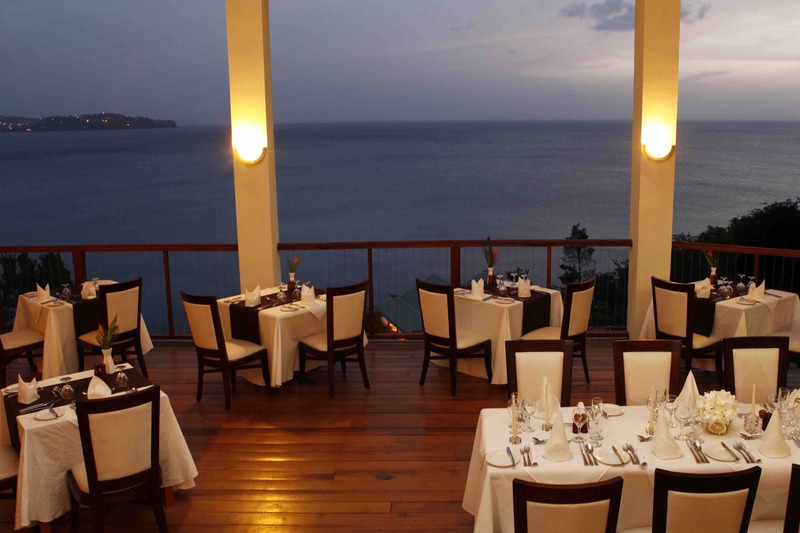 Staff will set up the terrace at no extra surcharge, as well as room service, WiFi and tips. With a staff ratio of over 2 team members to every guest, there is always someone around to make the days at Calabash Cove extra special. 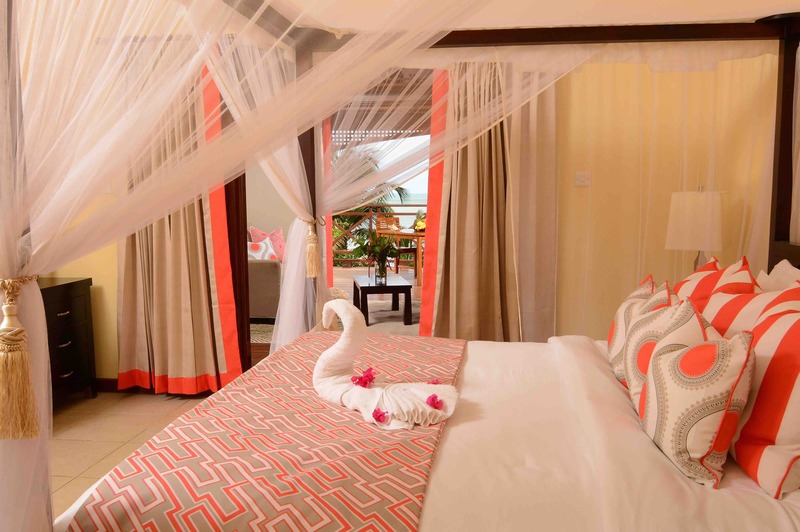 The nine Water-Edge Cottages all have their own private plunge pool, private patio, outdoor rain shower, en-suite bathroom with jacuzzi, a hammock, a full bar, a living room and airconditioning. 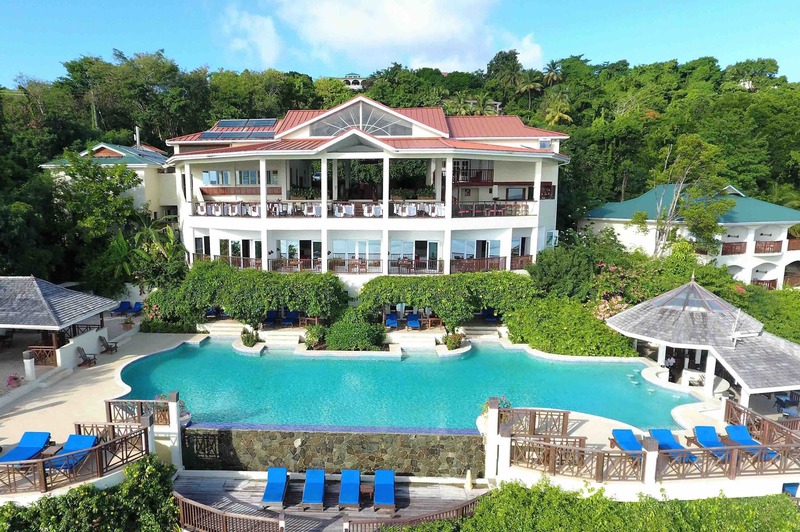 The four Manor House Suites are just a step away from the infinity edge pool called ‘Sweetwaters’, having unrestricted and private access directly from the patio of the room. 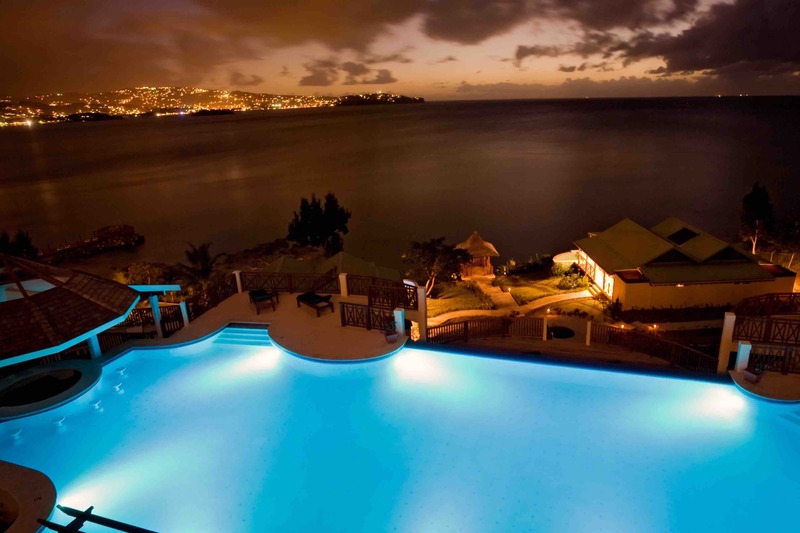 You can just swim across to the pool bar and watch the sunset while sipping on your cocktail. The suites offer an en-suite bathroom with jacuzzi, day beds, living suite, indoor rain shower, a full bar and air conditioning. 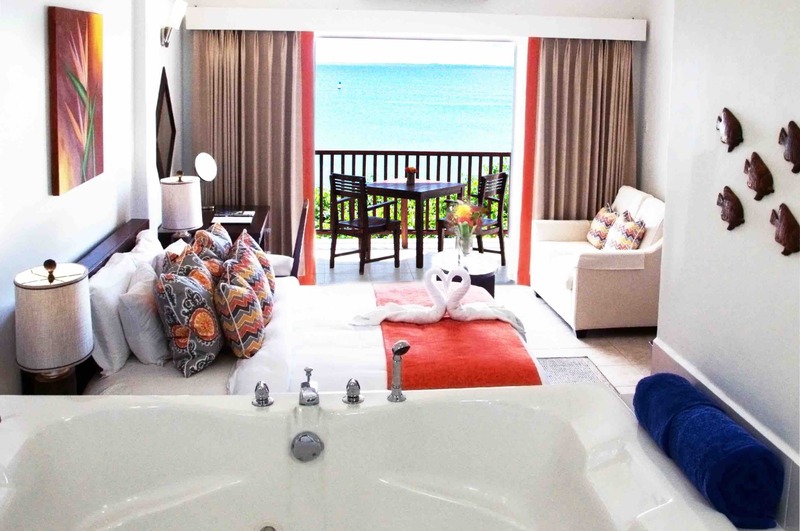 The thirteen Sunset Ocean View Jr. Suites offer access to the infinity pool, en en-suite bathroom, living suite, day beds, private patio, indoor rainshower, a full bar and air conditioning. The Ti Spa offers a variety of body treatments like scrubs and wraps provided by professionally trained therapists. 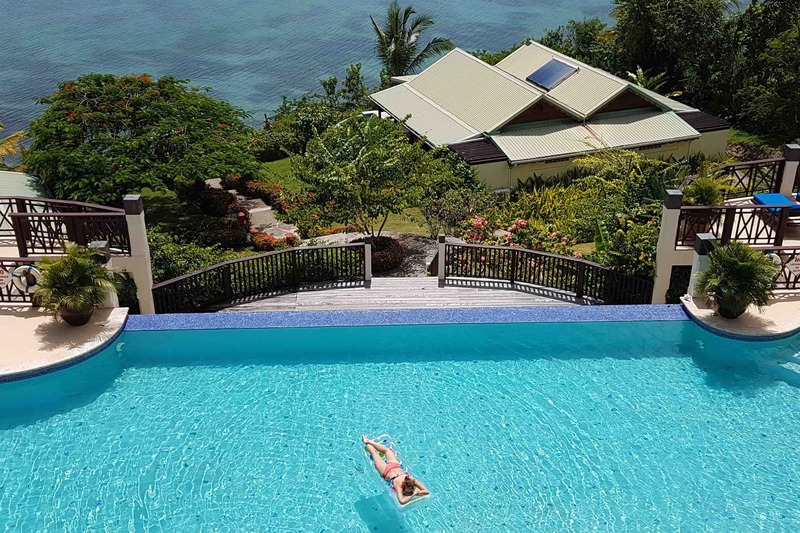 The friendly staff will be happy to advise you on activities like the Piton Trek, Rainforest Adventure, a private sailing trip or the old standards like, deep sea fishing, whale watching, snorkelling, SCUBA diving, horseback riding and many more.